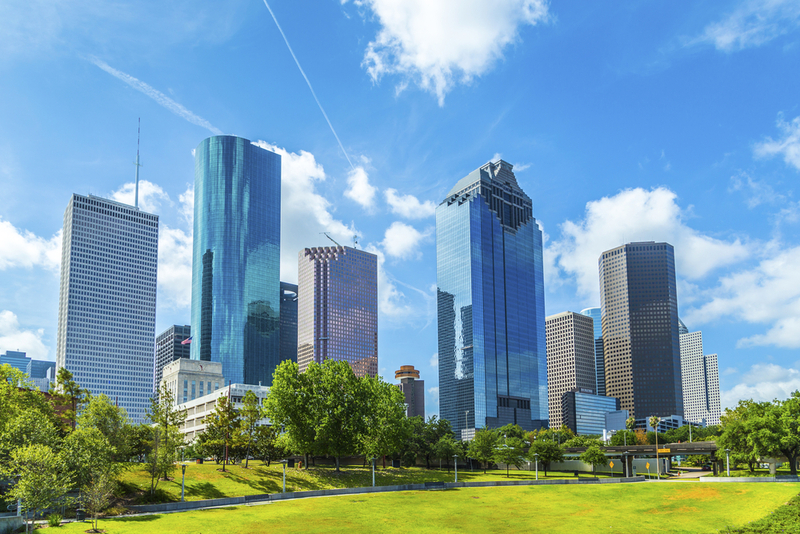 Despite being in a relatively quiet Texas housing market for the better part of a decade, the Houston real estate market has emerged as one of the most consistent regions in the country. Although once a market impervious to the ups and downs of housing cycles, the Houston area has now leveled off and is on pace with the national average. Perhaps even more importantly, Houston real estate continues to appreciate at rates slightly above the national rate. For all intents and purposes, the Houston real estate market has become a hotbed of activity that Houston real estate investors could easily take advantage of. Foreign investors, in particular, acknowledge Houston as one of the best places to invest for the foreseeable future. For foreign investors, the only other city that may capture more interest is Miami. That said, the Houston real estate market is primed to have a big year in 2016 and beyond. One component driving Houston real estate could be foreclosures, or the lack thereof. According to RealtyTrac, there are currently 2,470 properties in some stage of foreclosure, including auction and REO properties. As of July, the number of foreclosures in the Houston real estate market is 12 percent less than the previous month and 48 percent lower than the same period in 2015. The overwhelming decline in auction and bank owned properties in Houston doesn’t to appear to be a trend; auctions have decreased 19.3 percent in the past month and 52.7 percent since the same period last year, while REO properties fell 2.1 percent compared to last month and 40.9 percent for since last year. Much like its other Texas counterparts, the Houston real estate market is in a position to lead the recovery. Backed by a strong economy and encouraging job growth, the housing sector is primed to have a prosperous 2016. Houston real estate investment is, therefore, expected to see a lot of growth. With affordability lower than the national average and demand showing no signs of slowing down, the Houston real estate market should continue to be a target for those looking to get into the business. The Houston real estate market has been off to a steady start so far in 2016. The median home price for Houston real estate in the first quarter is $208,000 compared to the national average of $215,767, and while price growth has slowed as of late, prices are still up from a year ago. In addition, home appreciation rates for Houston real estate continue to expand larger with each additional year. According to the National Association of Realtors, the one-year appreciation rate in Houston is 3.8 percent compared to the national average of 6.1 percent; However, the three-year appreciation rate jumps to 27.1 percent compared to 22.6 percent. That said, price appreciation and principle payments in the last three years have boosted total equity growth since the recession. Another aspect benefiting the Houston housing market is home affordability. In Q1, the average homeowner paid 7.7 percent of their income to monthly mortgage payments, while the national average paid a whopping 14.5 percent. While home affordability has historically been low in the Houston area–an average rate of 9.3 percent–it continues to improve in 2016 and is now one of the more affordable real estate markets in the nation. That said, the Houston real estate market is situated on a strong foundation and should only grow stronger in 2016. Despite a record setting 2013, those familiar with the Houston housing market forecasted an immediate tapering. as the pace of the market appeared to be unsustainable. However, at the end of 2014 it appeared as if the projections were wrong. Sales in the areas continued to soar, including outpacing the previous year. According to the Houston Association of Realtors (HAR), 6,490 homes were sold in September 2014; a seven percent increase in sales over the same time last year. “As long as consumers continue to snap up homes at the current pace, replenishing our housing inventory will be a slow process,” said HAR Chair Chaille Ralph of Heritage Texas Properties. The median home price in Houston was $204,000 during the 2014 calendar year; just under the national average of $212,267. Despite trailing the rest of the country, Houston home prices increased rapidly as they appreciated nearly twice as fast as the rest of the country over the previous year. Rapid appreciation rates were due, in large part, to tighter inventory levels. The expansion of the local economy helped to facilitate incredible equity gains in the Houston area in 2014. Price appreciation and principle payments from the three previous year — 2011, 2012 and 2013 — helped to boost total equity growth. In fact, one year appreciation rates for the Houston real estate market in 2014 generated an average of $18,195 in equity, while the national average in the same period was $12,731. The local economy surged in 2014, as the energy industry led Houston to be the national leader in job growth. Within a year, the job growth rate in Houston increased 3.1 percent. Thousands of people begin relocating to the Bayou City every month. As such, Houston’s unemployment rate of 5.4 percent in 2014 was better than the national average (6.1 percent). Without a doubt, the roaring job market in Houston was the premier driver of supply and demand. Several neighborhoods, in particular, benefiting — and still do — from said job growth: Great Uptown and Southbelt/ Ellington were some of the most popular neighborhoods experiencing upward trends.